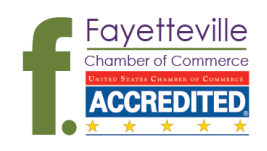 ​The Fayetteville Chamber of Commerce invites you to join a delegation of our business leaders in Washington D.C. The purpose of the visit is to provide information to the Arkansas Congressional Delegation on issues affecting the business climate in Fayetteville and Northwest Arkansas and to receive updates from Representatives, the US Chamber, and D.C. Staff. Lunch briefing at the US Chamber of Commerce on national issues. Limited sponsorship opportunities are available. Our hotel for the stay. Where we will receive a briefing from the US Chamber. Where we will meet with Lobbyists from Walmart and Tyson.